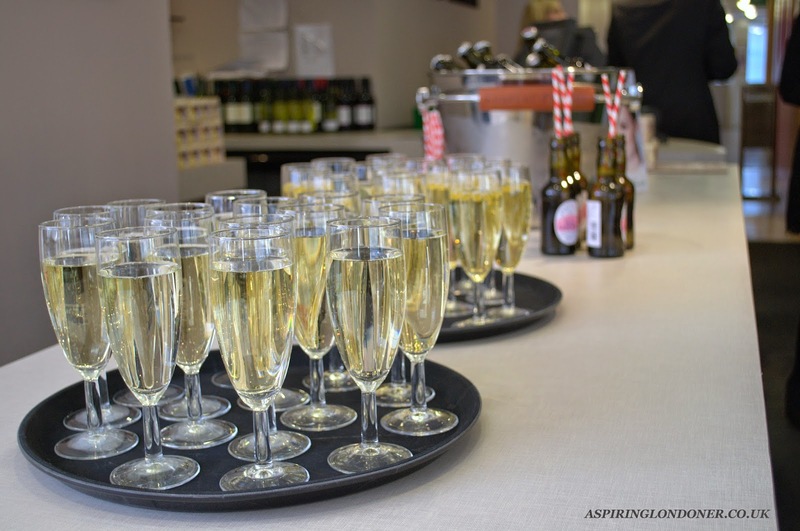 Newcastle Fenwick held their very first bloggers event earlier this week and I was one of the lucky attendees. We got to hear first hand from Fenwick Beauty Buyer about what brand there were, what services were offered and what brands may be making an appearance in the Fenwick Beauty Hall later this year...I'll reveal at the end of the post. Trust me it'll be worth the wait and you'll love me for it! 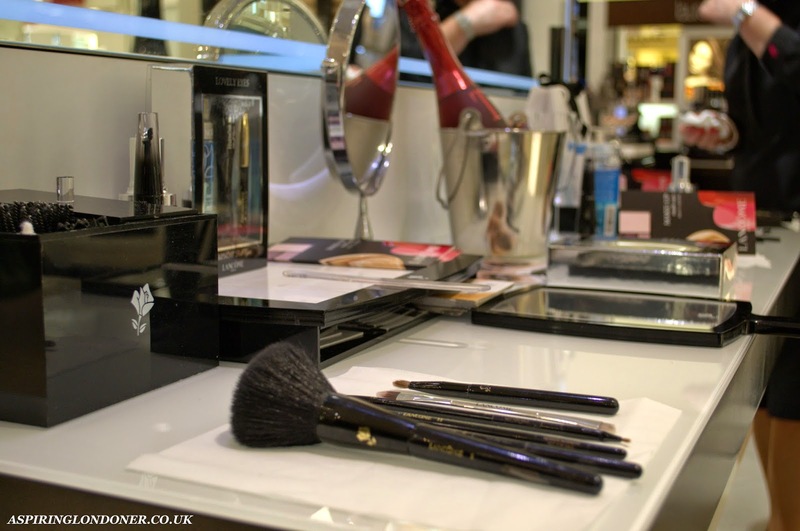 From 11th to 16th May 2015, Fenwick Newcastle will hold their 'Beauty Week' event. What is Beauty Week you ask? 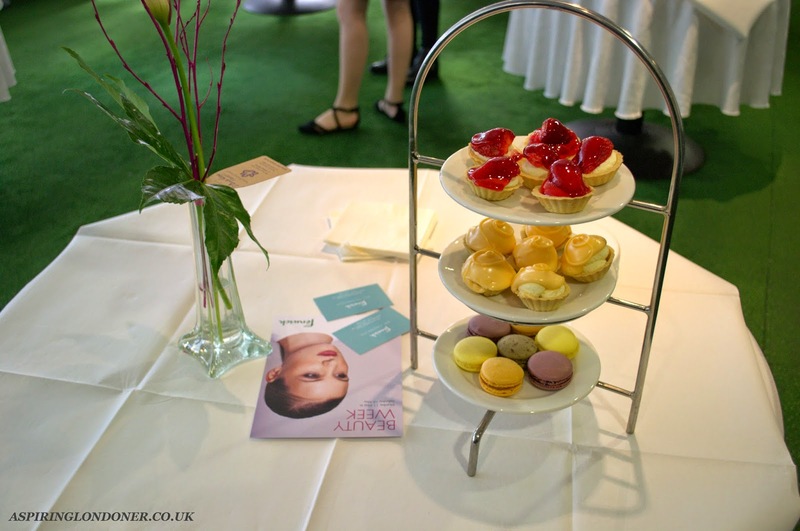 Well, there will be daily live beauty demonstrations at the beauty houses, luxury gifts with purchases, makeup and skincare masterclasses to help you revive your routines. What's more is on Tuesday evening (12th May, 6-10pm) most of the beauty brands are offering a very generous 15% off! I've already made notes of what I'll be picking up! We got to try out some of the services offered by the beauty houses at Fenwick. 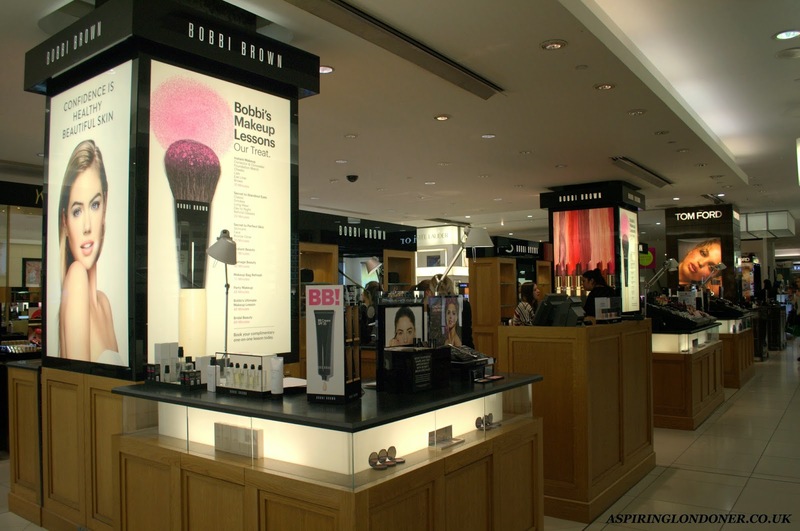 Firstly, I visited the Bobbi Brown counter as I love the brand and wanted to try out more of their products. 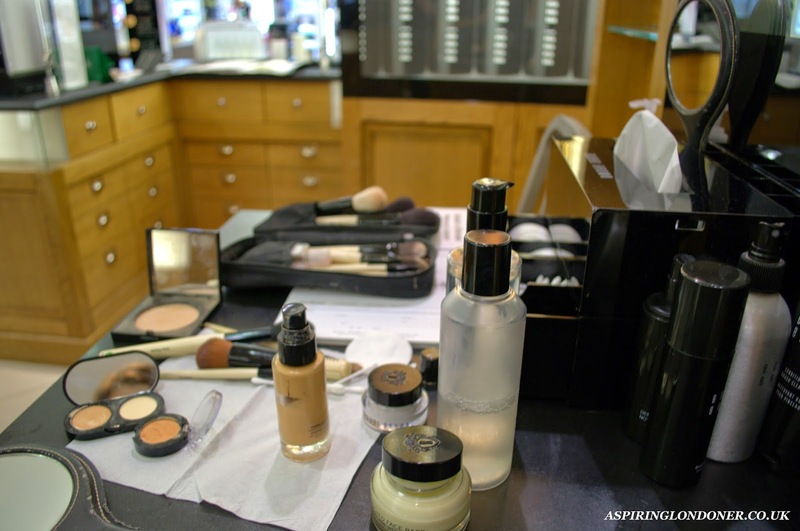 Did you know that you can get free makeup lessons at Bobbi Brown counters? I didn't know this, and I think it's such a good idea! For people just starting out with makeup or just someone who's stuck in a rut, you can learn how to create a smokey eye, how to do party makeup or even bridal beauty! I opted for a flawless and fresh complexion. The lovely lady at the counter applied the Bobbi Brown Skin Foundation for a fresh, dewy base and used the Creamy Concealer kit to conceal under my eyes and any scars. I've been eyeing the Bobbi Brown Blush in Apricot, and when applied it looked just as amazing as I thought it would...I may pick this up next week! Also the Bobbi Brown Buffing Brush - I totally get the hype now! My next stop was another of my favourites, Jo Malone. 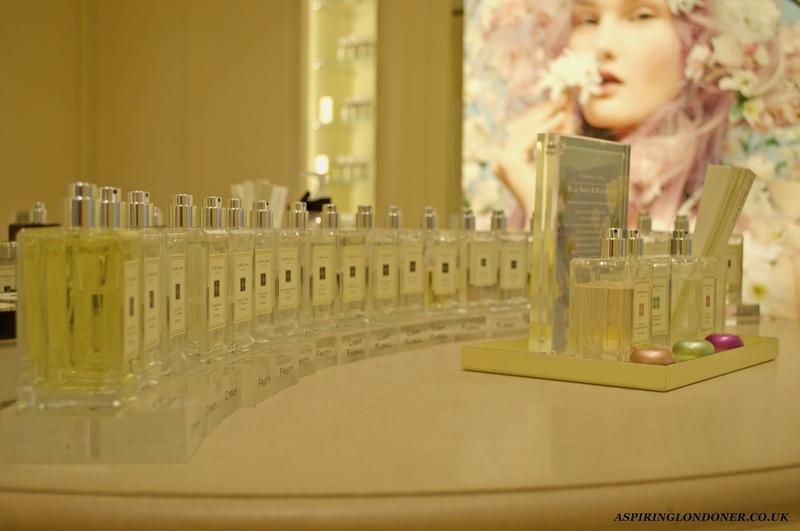 I can literally spend hours in there just smelling various scents! I was booked in for a 'the hand and arm massage' and boy, was I in for a treat! I left feeling rather pampered and relaxed! Did you know you can book in for your own hand and arm massage as a treat? It's such a lovely experience especially if you're out in town and just want a little pampering without spending the whole day in a spa! P.S. how beautiful is the new Plum Blossom cologne?! 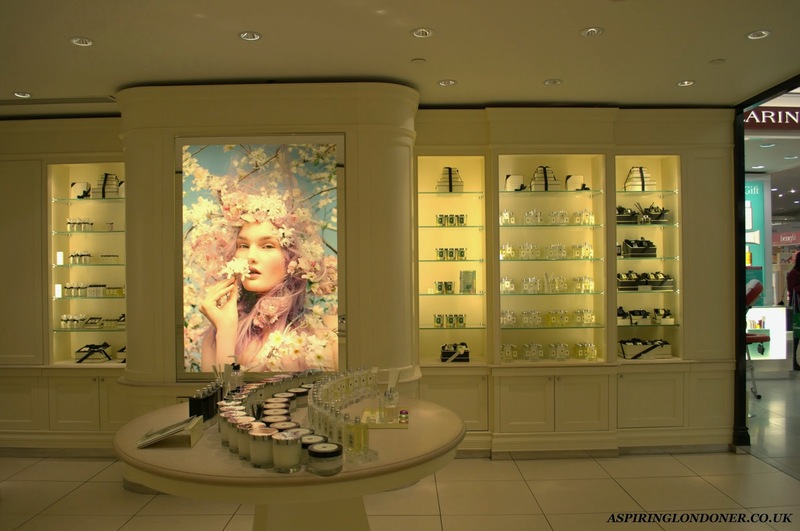 You must give it a try when you're at a Jo Malone boutique! 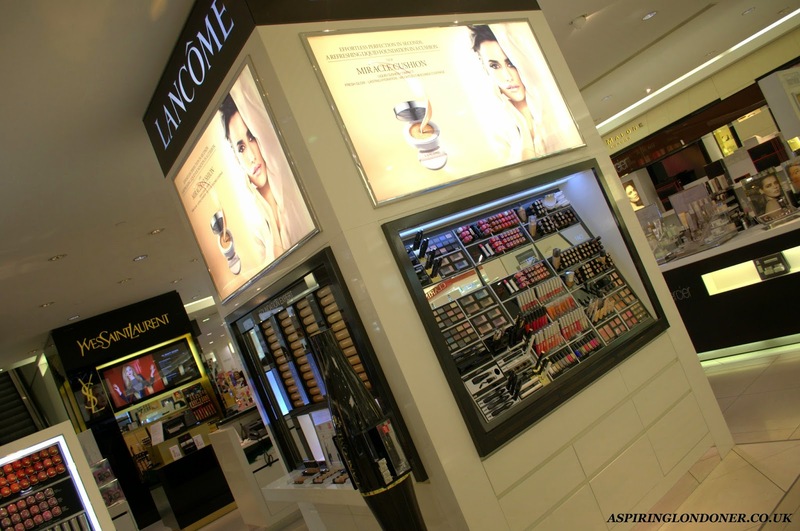 My last stop was the Lancome counter, as I haven't tried much from Lancome before. The Lancome Hypnose Mascara is my absolute favourite mascara, except that I really haven't tried much else. I went for the signature eye look using eyeshadows from their latest collection and the Lancome Grandiose Mascara. I really liked that mascara, so it may make it home with me next week. You might be interested to know that Lancome's International Makeup Artist Marc Sinclair will be in store on Thursday 14th May for one to one sessions! So if you're interested in picking up some tips with an one-to-one session, call Fenwick and book a session now! They're expected to be booked within minutes! I thoroughly enjoyed myself, and was so glad to learn that so many of the counters offer such wonderful services to customers! I will absolutely take advantage of the Bobbi Brown Complimentary Makeup Lessons! And the piece de resistance? There are rumors that, a certain coveted brand known as Charlotte Tilbury may be making their way to the Newcastle Fenwick Beauty Hall later this year! You heard it here first! I've just realised this is my 300th post on this blog!!! Have I really rambled on for that many posts?! Thank you to those that have stuck it out and read my writing and supported me! Will you be popping in next week to enjoy Newcastle Fenwick Beauty Week? Share in the comments below or tweet me @aspiring_london!